From simple chain repairs to complete restorations we can accommodate your needs. Get it together, bring it in, and we’ll go thru each piece and give you an estimate. All work is done here in our shop! Call to schedule a design appointment or just stop by. We are always happy to sit and chat about your special day and what you’re after. We can often use your old metal or gemstones. Come see us! We specialize in unique one-of-a-kind jewelry created for your refined taste. Feel free to browse our showcases but remember we can always create something special just for you. Welcome to Camwood Jewelers: Downtown Anacortes WA! The Custom Jewelry Store in Anacortes Washington. A Jewelry Designer that specializes in: Unique Custom Jewelry & Quality Jewelry Repair! We design, create, and build all items right here in the store using the finest quality diamonds, pearls and colored gemstones available. We also offer top notch in house Jewelry Repair. We do it right the first time! Camwood Jewelers is locally owned by Dennis Knotts. He is one of Anacortes WA’s longest existing Custom Design Goldsmith’s. 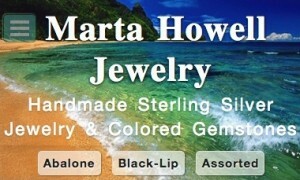 Exceptional service, excellent jewelry repair and quality merchandise is our speciality. We do our Jewelry Repair right here in the store! Camwood Jewelers has taken care of your needs now for more than 20 years. Owner Dennis Knotts’s passion and service is exceptional. He truly cares for his clients and it shows as soon as you walk thru the door. Browse the cases and see our beautiful selection of diamonds, rings, pearls, and gold custom jewelry. Stop in and see our gallery of photographs from Gary Wallace at Visual Moments Photography. While diamonds are forever, items do need to be fixed from time to time. Our jewelry repair is done right here and we never ship out to other jewelers or jewelry repair shops. We pride ourselves in repairing both manufactured and custom jewelry. Fixing a broken chain, sizing a ring, or a complete restoration of your heirloom is always taken seriously. We understand how precious and sentimental your items are to you.